Anxiety Disorders - Stand Up, Inc.
A person that may be struggling with an anxiety disorder should let another person know about physical sensations, anxieties, or phobias. Since anxiety disorders do not disappear until they're dealt with, it is critical to inform someone that can help. If a person does not seem to understand right away, talk to another trusted adult. Get yourself a checkup. Go to a physician to ensure there aren't any physical problems that might be causing symptoms. Work with a mental health professional. Ask a doctor, heathcare worker, or even a school counselor for a referral to a person that treats anxiety issues. Learning what is causing the symptoms could be a tremendous relief. Get frequent exercise, good nutrition, as well as sleep. All these supply the body as well as the brain with the proper fuel and time to recharge. 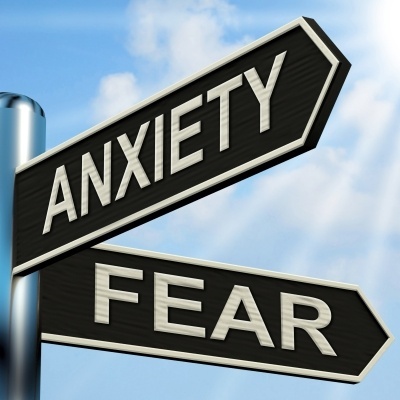 Anxiety disorders can usually be treated by mental health professionals, or counselors. A counselor can look at the symptoms a person is coping with, diagnose the particular anxiety disorder, and develop a plan to help the individual get relief. A specific kind of talk therapy known as cognitive-behavior therapy (CBT) is often utilized. In CBT, an individual discovers completely new ways to think and act during circumstances that may cause anxiety, and also to control and cope with stress. The therapist offers guidance and support and will teach new coping skills, like relaxation techniques or breathing exercises. Often, but not always, drugs are used as part of the treatment for anxiety. Attempt to remain patient and positive. Usually it takes time to feel better, and get the courage to face your fears. But releasing worry will allow room for lots more joy and fun in your life. Don't let anxiety stop you from finding your independence through employment. Click Here to see how support can be provided to enable you to be successful on the job.